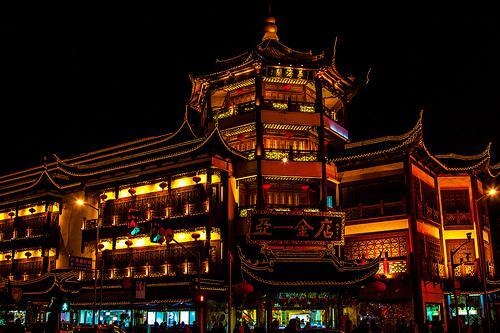 A well-known Taoist temple not far from Yuyuan, the biggest example of traditional Chinese architecture in Shanghai. A well-known Taoist temple not far from Yuyuan, the biggest example of traditional Chinese architecture in Shanghai. You can find local snacks and food as well as other traditional Chinese decorations.